FSA and HSA cards are similar to debit cards giving access to a savings account that can only be used for qualified medical expenses. These typically include copays, deductibles, some prescriptions and some medical equipment. Both accounts provide tax benefits to account holders. Contributions to either account can be made by you, your employer or both. An FSA account is owned by your employer but you can both make contributions (yours would come out of your pre-tax income). At the end of the year, unused funds are returned to the employer. The employer is allowed to give a grace period before losing unused funds or let you rollover up to $500 for the next year. An HSA account can be owned by anyone with a high-deductible health plan. The HSA account is similar to an IRA account. Funds are not taxed when they go in or if they are used after you reach retirement age (65). Any funds that are not used for medical expenses are subject to income tax, before and after retirement. If they are withdrawn for non-medical expenses before you reach 65, there is an additional 20% fee. Any money not used stays in your account and earns interest. It can also be invested. What are the benefits of using FSA/HSA cards? FSA and HSA cards both let holders use pre-tax income to cover qualifying medical expenses, as defined by the IRS. FSA cards can be used with any form of health insurance but offer no long-term savings benefits as leftover funds return to the employer every year. HSA cards require high-deductible health plans but the money in the account remains with the account owner and not only earns regular savings account interest rates but can also be invested for higher returns. Where are FSA/HSA cards accepted? FSA and HSA cards can be used for qualifying medical purchases anywhere MasterCard or Visa Debit cards are accepted. This includes most medical providers, hospitals and stores that sell qualified medical equipment. Stores must be able to separate FSA qualified expenses from other purchases. Un-qualified items will require some other form of payment during checkout. Does myLAB Box take FSA/HSA cards? myLAB Box accepts both FSA and HSA cards. They can be used the same way that a normal debit or credit card would be used at checkout. 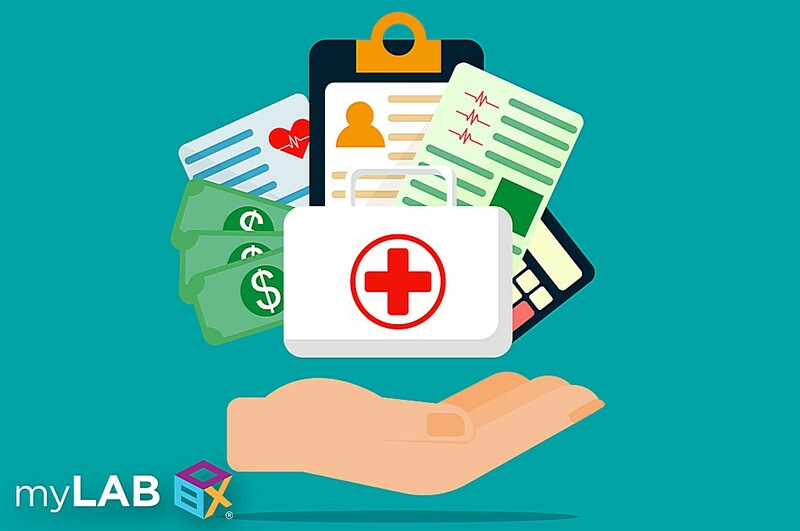 If you have trouble completing your purchase with an FSA or HSA card, please contact your issuing bank and let our team know at orders@mylabbox.com. How can I get an FSA/HSA card? FSA cards are only available through employers and cannot be held by anyone who is self-employed. Ask your HR department department to find out if your employer offers an FSA card. Anyone with a qualifying high-deductible health plan can get an HSA account through banks offering HSA accounts. Depending on the bank, the interest rate on the account may vary and they may charge monthly fees. You and your employer are both able to add pre-tax income to your HSA account. You cannot have an HSA account if you have additional health insurance plans or are eligible for Medicare. Will my FSA/HSA card cover the full cost of my STD test? Yes! If you have enough funds in your account, the full cost of your STD test kit will be covered by your FSA or HSA card. Are there limits on FSA/HSA card use? FSA and HSA cards can only be used for qualifying medical expenses, defined as the “costs of diagnosis, cure, mitigation, treatment, or prevention of disease, and for the purpose of affecting any part or function of the body.” The IRS’s Publication 502 contains the full list of qualifying medical expenses. Which is better, an FSA or HSA card? In general, the HSA provides more benefits than the FSA, especially in the long-term. In addition to providing tax-free income that can be used for medical expenses, funds in an HSA account will earn interest and can be invested for higher interest rates when they are not being used. These funds will continue to grow over time and remain with you if you switch employers. The downside to HSA accounts are the required high-deductible health plans. For an HSA account to make sense, the owner must be prepared to pay a high yearly deductible out of pocket. Lower premiums may offset the cost of the high deductible. If you are not eligible for an HSA account, opening an FSA accounts will still save money by letting you direct pre-tax income towards medical expenses. FSA accounts do not require you to have a high-deductible insurance plan. The downside to an FSA account is the money it accumulates must be used during the year or it will return to your employer. To be effective, this requires making an accurate estimate of the amount you will spend on qualifying medical expenses each year.